Where does our e-waste go? March 18 marks the second annual Global Recycling Day, an initiative aimed at recognising and celebrating the important role of recycling in preserving our Earth’s primary resources and coming together to find creative solutions to one of the most pressing issues of our time. The past year has seen e-waste in the spotlight more than ever before. As the fastest growing waste stream in the world, today we want to shine that light on eight insightful e-waste facts that have surfaced in the past 12 months. A report published in January by the UN and World Economic Forum was ground breaking in analysing the breadth of the world’s e-waste issue. The report found that we currently generate 50 million tonnes of e-waste every year – around the mass of 125,000 jumbo jets, which is more than all the commercial aircraft ever built. These jumbo jets, the authors add, would take London’s Heathrow Airport six months to clear from its runways. The success of the ABC’s War on Waste proved Australia’s appetite for doing the right thing. 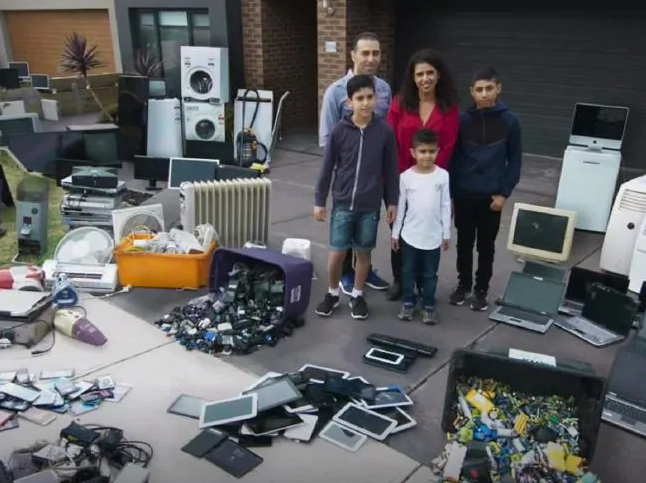 When it comes to e-waste however, the series showed that few Australian families are willing to give up their tech-upgrade habits – Craig Reucassel claiming that the average Australian household produces 73kg of e-waste every year. The good news is that in 2018/19, the e-waste recycling target under the National Television and Computer Recycling Scheme (NTCRS) is 64%, and the aim is to increase this to 80% by 2026/27 (note however that this only includes TVs, computers and computer accessories, not all ‘e-waste’ as defined on the War on Waste). According to Reucassel, the challenge is getting these items out of peoples’s drawers and garages and into designated recycling drop-off points. The UN and World Economic Forum’s recent report also showed that by 2020, the number of devices connected to the Internet is expected to reach between 25 and 50 billion. This of course does not include household electrical items such as toasters and kettles, though as the Internet of Things (IoT) takes rise, such items will become Internet-enabled. In addition, items that never encompassed an electronic aspect before such as clothes and furniture, will increasingly have complex gadgets inserted, making the recycling process ever more complicated and begging for smart, innovative and circular design from the production phase. In 2017, the UN University and International Telecommunication Union estimated the value of raw materials in e-waste is worth $US62.5 billion annually. This number exceeds the gross domestic product (GDP) of 123 countries. The opportunities contained in effective e-waste management are not only environmental, but could bring major benefits to the economy and create countless decent jobs in safe conditions. 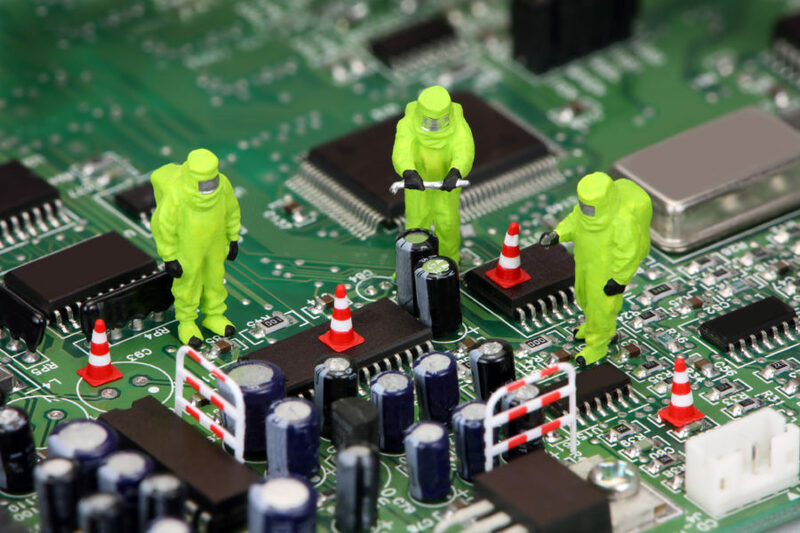 Each year, ANZRP-TechCollect commissions an independent audit of its e-waste recycling program. In 2017/18, TechCollect recycled 26,670 tonnes of computers, TVs, printers and computer accessories. 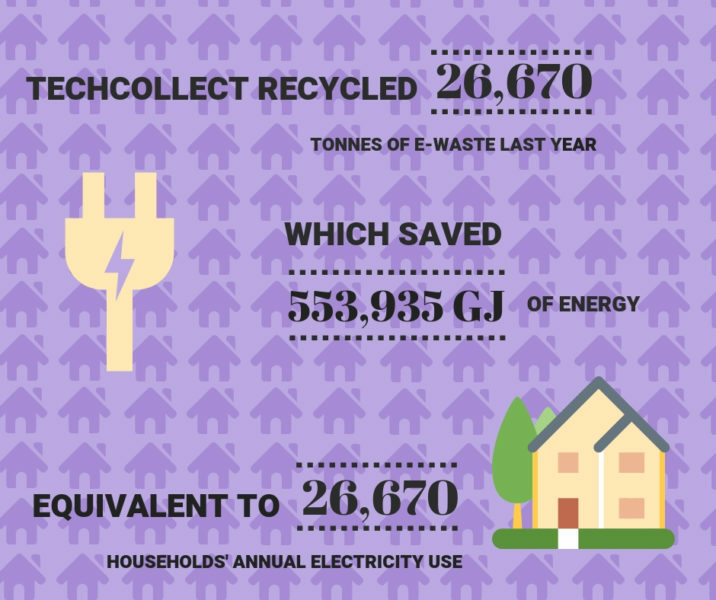 The audit found that the energy savings from these activities amount to 553,935 GJ of energy, which Lifecycles calculates to be equivalent to 26,670 households’ annual electricity use – or one household per tonne of e-waste recycled. So switch off your household power for a year or encourage your friends to recycle with TechCollect! 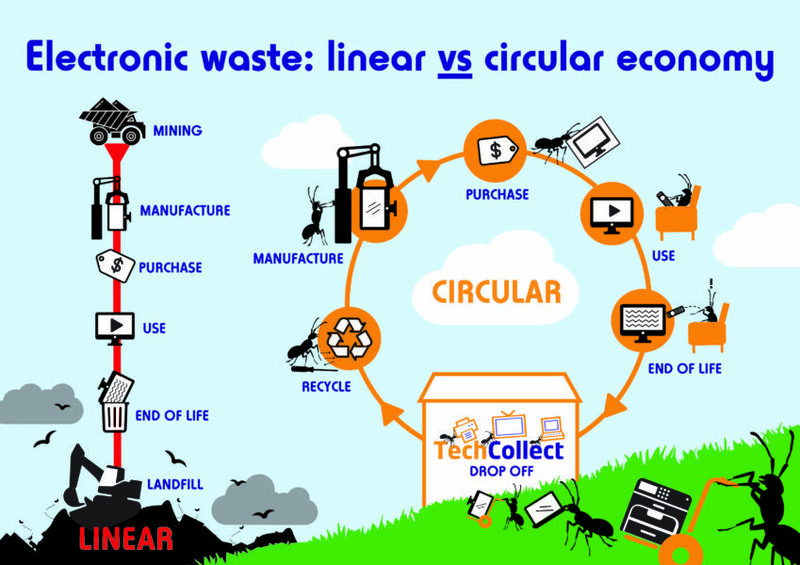 If e-waste was the past year’s spotlight waste stream, the circular economy is this year’s buzzword. Governments, industry and the public are catching up to thought-leaders’ and researchers’ decades-long advice of moving the economy to a circular state, and we’re hearing the term used more and more in the public sphere. The Platform for Accelerating the Circular Economy (PACE)’s recent report revealed that the second ‘Circularity Gap Report’ showed no change from the first, 12 months earlier. A mere 9% of the world’s economy is ‘circular’, leaving a frightening majority still adhering to the ‘take, make, dispose’ model of its linear counterpart. The first being our greener and more Western state of South Australia, Victoria will soon be imposing penalties on anyone who dumps e-waste in a bin destined for landfill. Interestingly, only televisions, computers, printers and computer accessories are currently covered by extended producer responsibility legislation (the NTCRS), leaving a significant portion of waste electrical and electronic equipment requiring recycling without this being funded by the items’ producer (such as with the NTCRS). A number of voluntary product stewardship schemes exist for items such as mobile phones, batteries and printer cartridges, but the recovery of materials from products outside these schemes will be interesting. Finally, a positive fact to leave you with: while unfortunately some of the world’s e-waste is processed informally and illegally or dumped in landfill, two thirds of the world’s population or a total of 67 countries are covered by e-waste legislation. In Australia, the National Television and Computer Recycling Scheme enforces strict compliance with national safety standards, including AS 5377: the Australian Standard for the collection, storage, transport and treatment of end-of-life electrical and electronic equipment. Additionally, the export of e-waste to developing countries is regulated under the Basel Convention on the Control of Transboundary Movements of Hazardous Wastes and Their Disposal, which has been ratified by 188 countries. 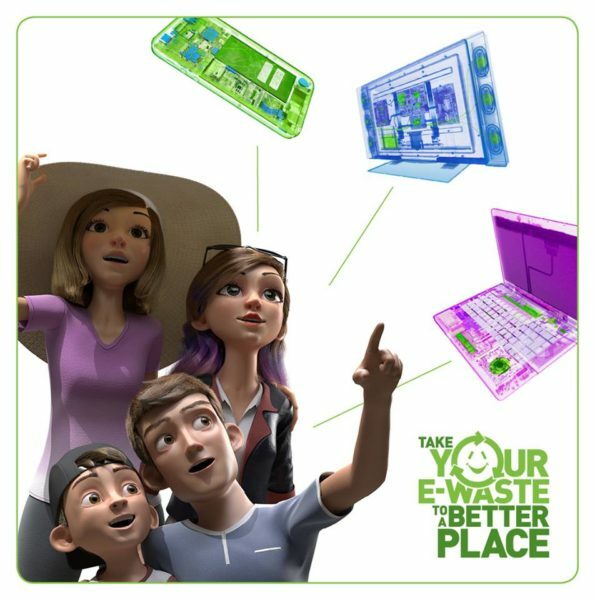 For more information about e-waste recycling in Australia and to find your nearest TechCollect drop-off site, visit www.techcollect.com.au.